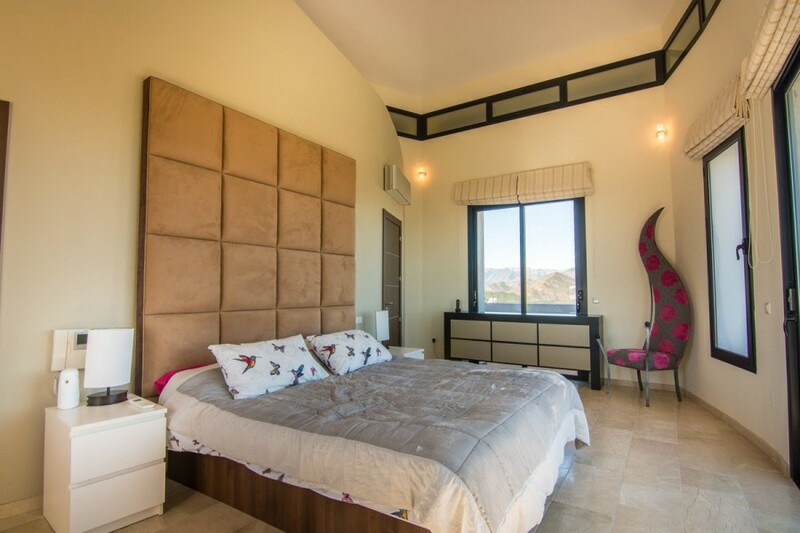 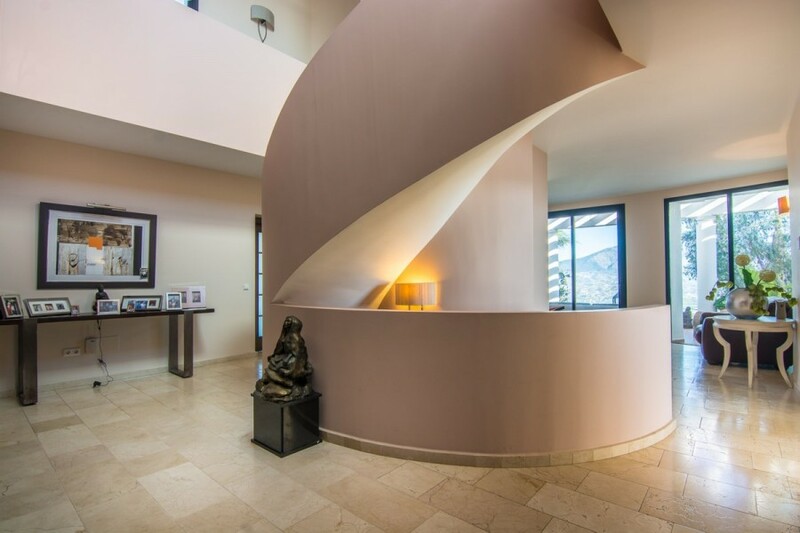 This magnificent modern villa was completed in 2008, and features an elevator to all levels. 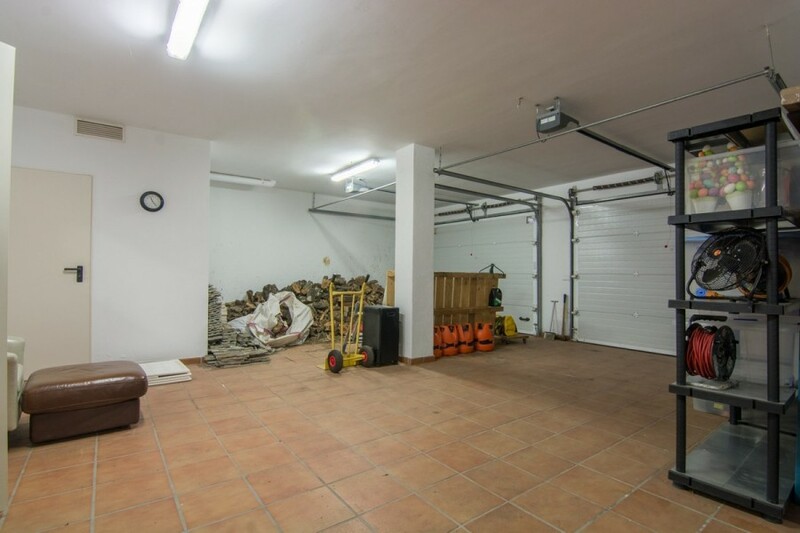 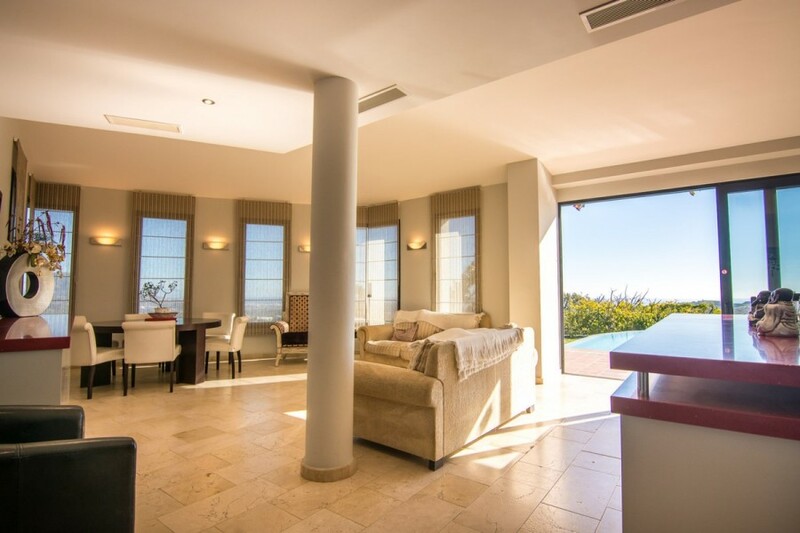 It has 5 bedrooms and 4 bathrooms and is situated on a large corner plot within a unique vantage point and is surrounded by nature. 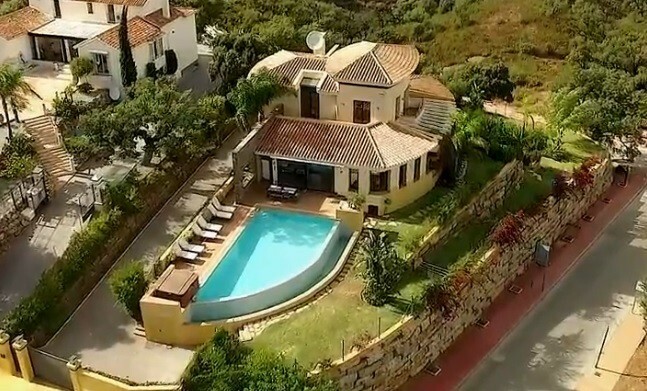 it has spectacular uninterrupted sea and mountain views. 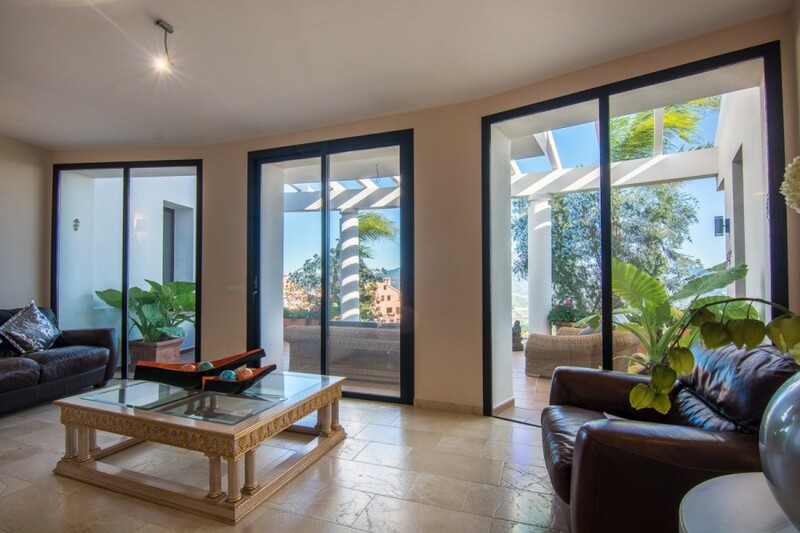 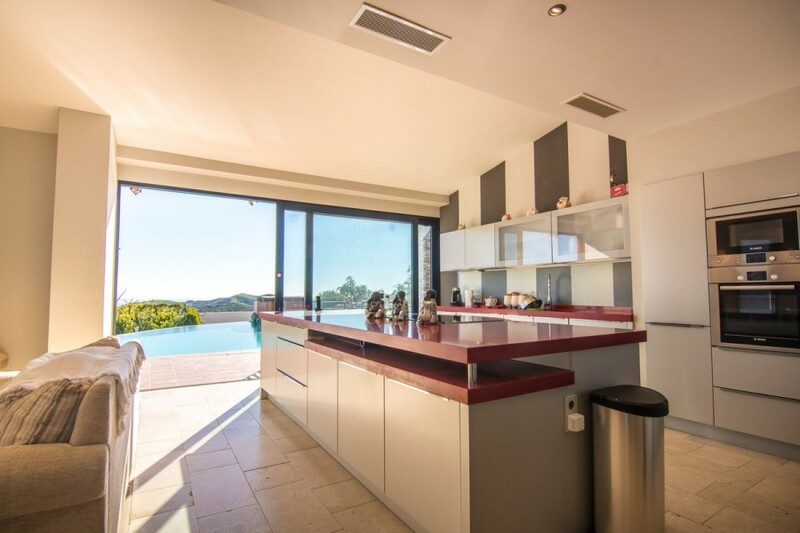 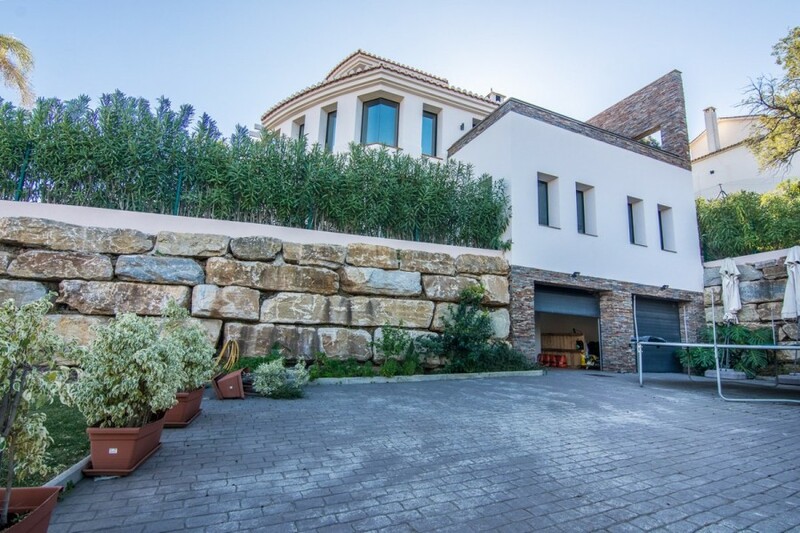 The villa is built on 3 levels with lift to each floor , with south east orientation; the windows have been designed to obtain maximum benefit of natural light and to also enjoy the views over the surrounding protected green spiraling hillside and the views across to the Mediterranean Sea. 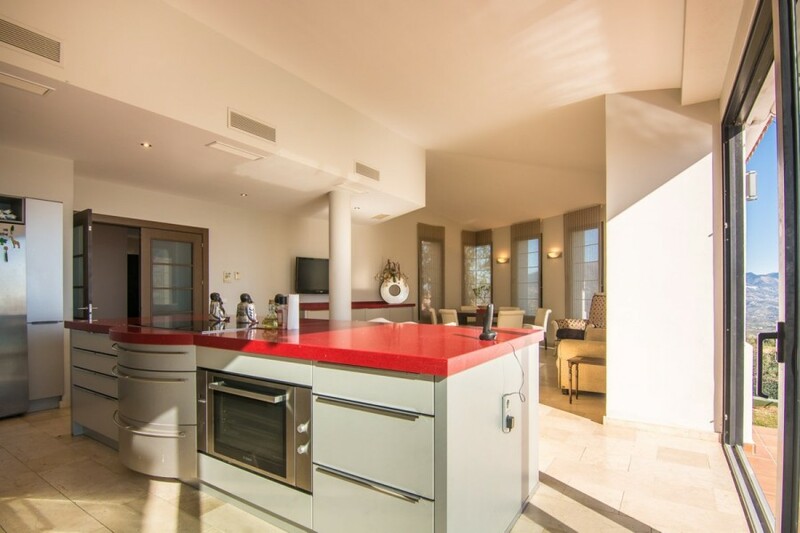 Features include air conditioning & heating, satellite t.v., double garage, landscaped gardens featuring a large cascading infinity pool, plus all the final fixtures and fittings are of a very high quality. 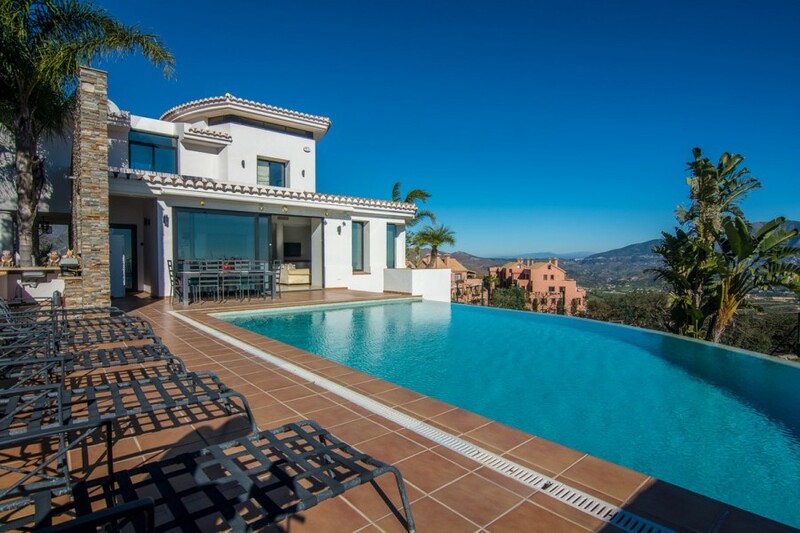 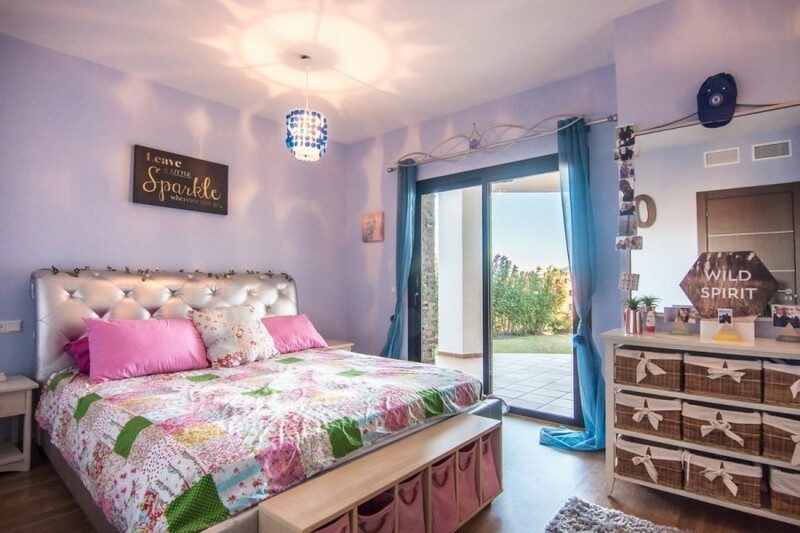 The villa is located within the La Mairena development at Elviria. 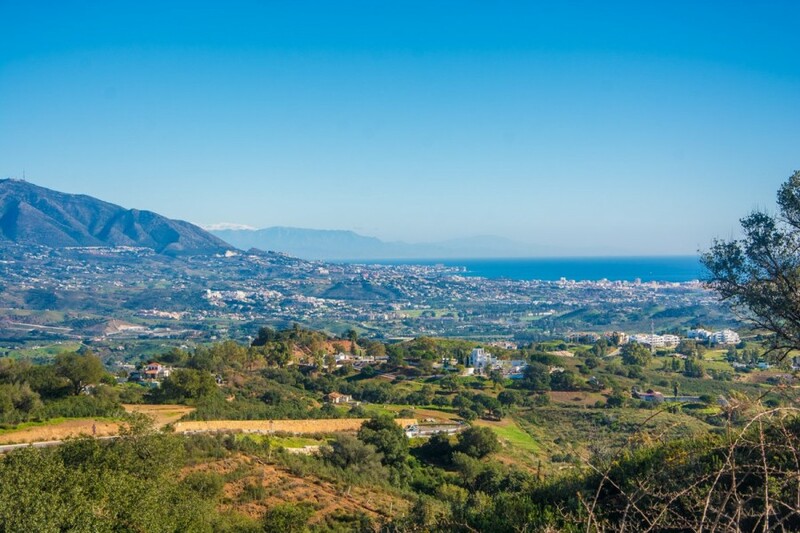 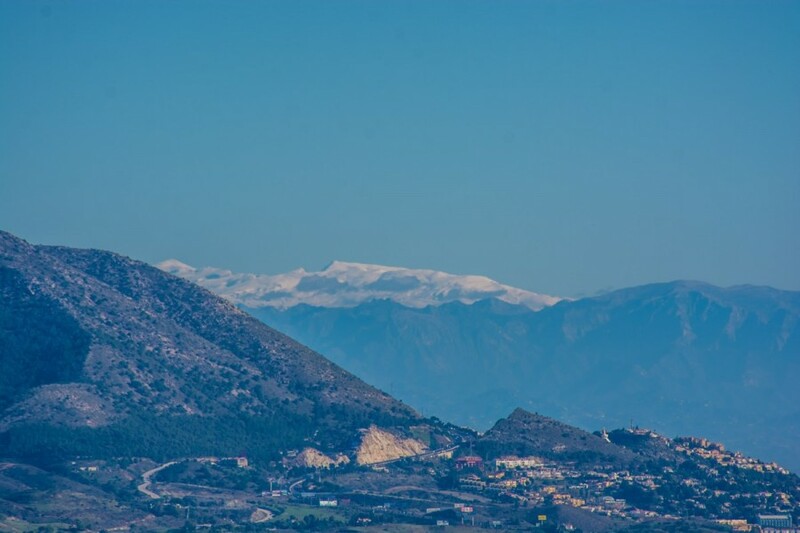 Just minutes from 2 schools, restaurants, tennis center and a short hop to the golf courses at La Cala. 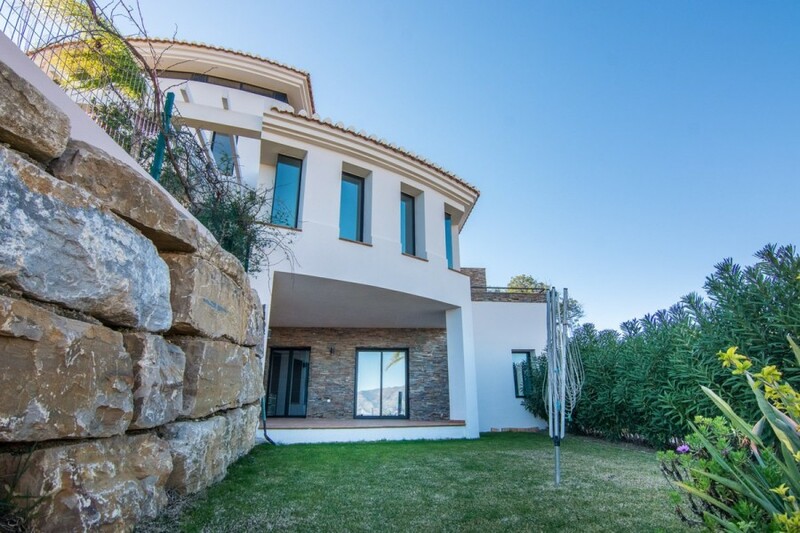 If you are seeking a truly exceptional new build and very modern villa, which is competitively priced and oozing both charm and character, then please arrange to view this stunning villa.